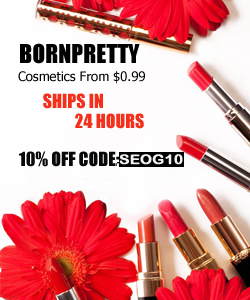 When I was contacted by BornPretty.com and asked to review some of the gorgeous items they have in their store, I was instantly drawn to their makeup/beauty section. I just love Asian cosmetics, they are usually very nice quality and it's so fun to explore new brands and products! I really love this set. 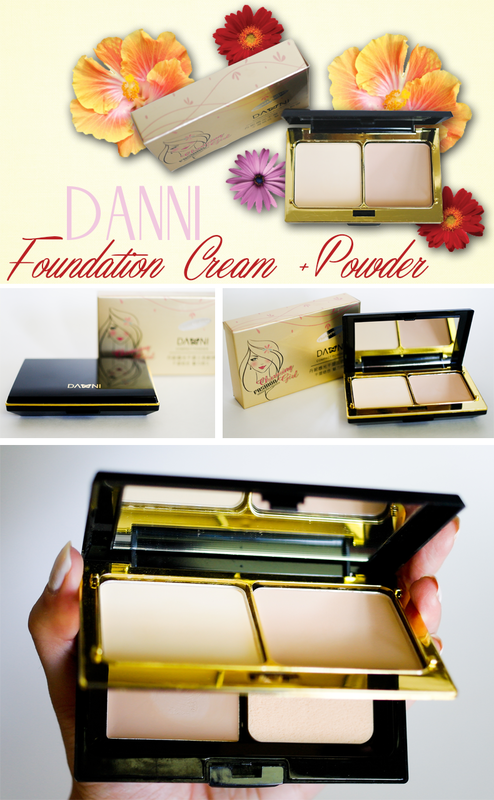 The foundations are very good quality! 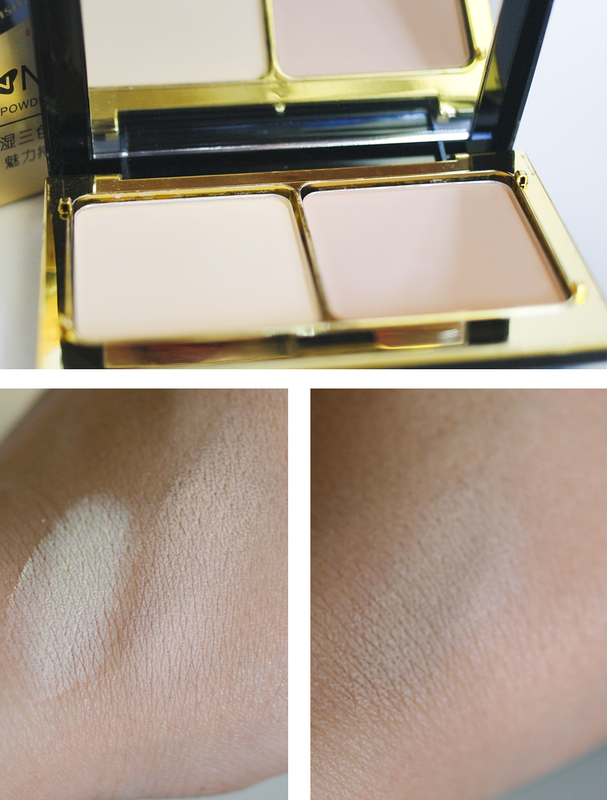 The cream foundation is light to medium coverage and can be built up to cover problem areas. It has more of a yellowish tint, but even if you're skin is more pink (like mine), it blends nicely. It's a matte foundation, with a pretty powdery finish. There is a sponge blender included in this kit, but I apply it with my fingers and it works just fine. I love that when I apply it to my under-eye areas, it doesn't settle in fine lines and it doesn't cake up (I had that happen with some high-end foundations). I generally try not to apply foundation on the sides of my nose, because most of them tend to clog my pores and accentuate them (it really doesn't look too good, especially up-close). That's something I've been struggling with a lot and even applying pore minimizing and pore blurring products does not help (there's only one liquid foundation that looks good on my nose and that is Neutrogena Healthy Skin). Danni's cream foundation doesn't look too bad on the sides of my nose, though. Its formula doesn't seem to clog my pores at all, and though they don't look perfect, they certainly look better than with most of the products I've used so far. 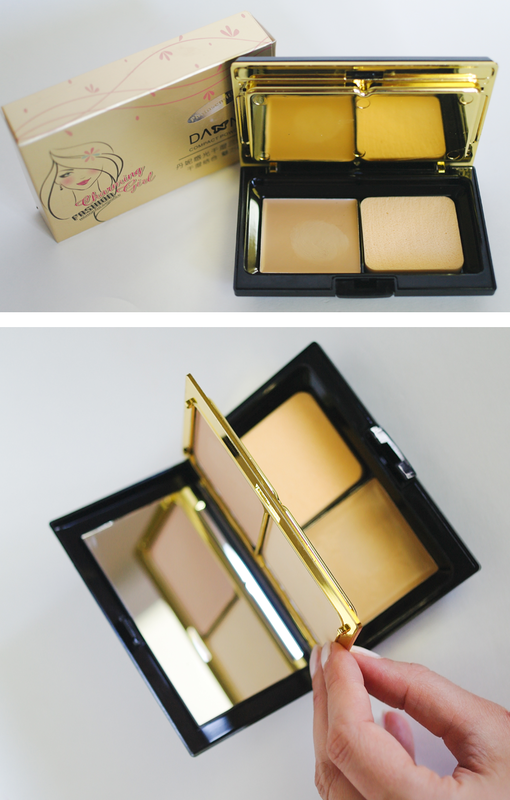 There are two powder foundations, one is darker and great for applying all over your face and the other is very pale and good for brightening under-eye areas or highlighting on top of cheekbones, under eyebrows or on your forehead. They are both matte with no glow or shimmer at all. And the best thing about them is they actually smell like chocolate!